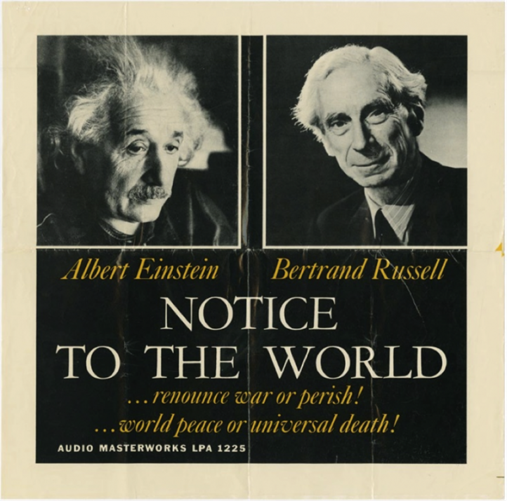 As Emanuel Pastreich brilliantly explains in Transcend Media Service / Foreign Policy In Focus ~ "It was exactly 60 years ago that Bertrand Russell and Albert Einstein gathered together with a group of leading intellectuals in London to draft and sign a manifesto in which they denounced the dangerous drive toward war between the world’s Communist and anti-Communist factions …. They were blunt, equating the drive for war and reckless talk of the use of nuclear weapons sweeping the United States and the Soviet Union at the time, as endangering all of humanity. The manifesto argued that advancements in technology, specifically the invention of the atomic bomb, had set human history on a new and likely disastrous course…..The manifesto stated in harsh terms the choice confronting humanity: Here, then, is the problem which we present to you, stark and dreadful and inescapable: Shall we put an end to the human race; or shall mankind renounce war?" But we must take little comfort in those accomplishments today for as Pastreich explains ~ " The United States has completely forgotten about its obligations under the Nonproliferation Treaty, and the words “arms control” have disappeared from the conversation on security. The last year has seen the United States confront Russia in Ukraine to such a degree that many have spoken about the risks of nuclear war. 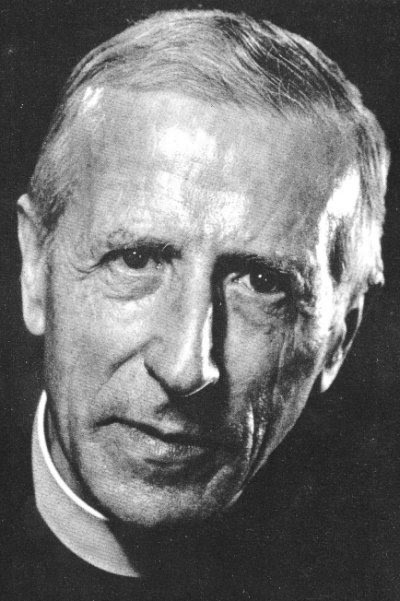 But perhaps the warning voice of Teilhard de Chardin, who died 60 years ago, should also be added to those of Bertrand Russell and Albert Einstein in proclaiming that our trip on the dark side has only one obvious consequence ~ Extinction. It is Teilhard, the Jesuit priest. paleontologist and explorer of the soul whose life's work was the reinterpretation of Christianity in the light of evolution, who stands impatiently at the summit of man's quest for the ultimate truth proclaiming to all that God is love. To Teilhard, not only is love the most universal, the most powerful and the most mysterious of the cosmic forces but it is also the primal and universal psychic energy ~ a Unified Field of love and soul consciousness whose primary property is the universal urge to unite. Teilhard wrote in his last unpublished work " "Le Christique " (The promised Land ) of the inevitable consequences when this truth appears: "Sooner or later there will be a chain reaction ~ for the truth has to appear only once, in one single mind, for it to be impossible for anything ever to prevent it from spreading universally and setting everything ablaze"
And it is Teilhard who writes in Human Energy ~ " Love one another. These words were pronounced two thousand years ago ~ but today they sound again in our ears in a very different tone. It no longer says only; Love one another in order to be perfect but adds Love one another or you perish … Therefore, despite all checks and all improbabilities, we are inevitably approaching a new age ~ in which the world will throw off its chains and at last give itself up the power of its inner affinities ~ the universal urge to unite and universal love". We cannot escape our destiny and it is divine. It will perhaps happen during our lifetime and we all have a part to play in it if we will but surrender to what is deepest within us ~ a Unified Field of love and soul consciousness or as Emerson wrote The thread of all sustaining beauty that runs through all and doth all unite.